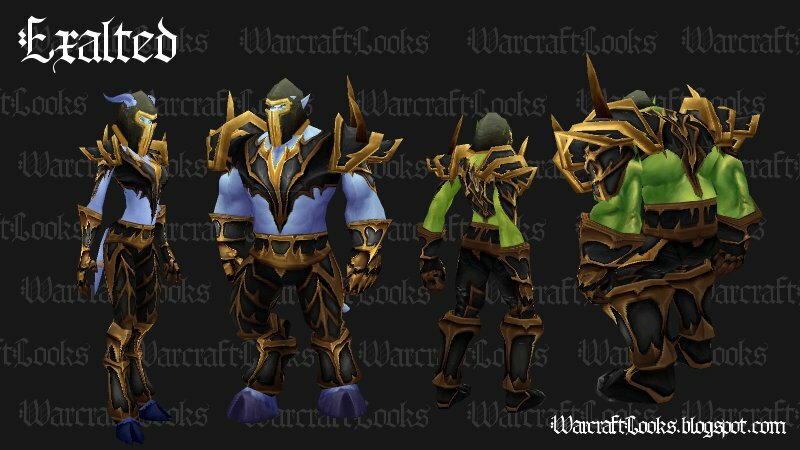 This is the second in our series based on Wowhead News' fantastic transmogrification post with numerous links to matching uncommon (AKA "green") items. 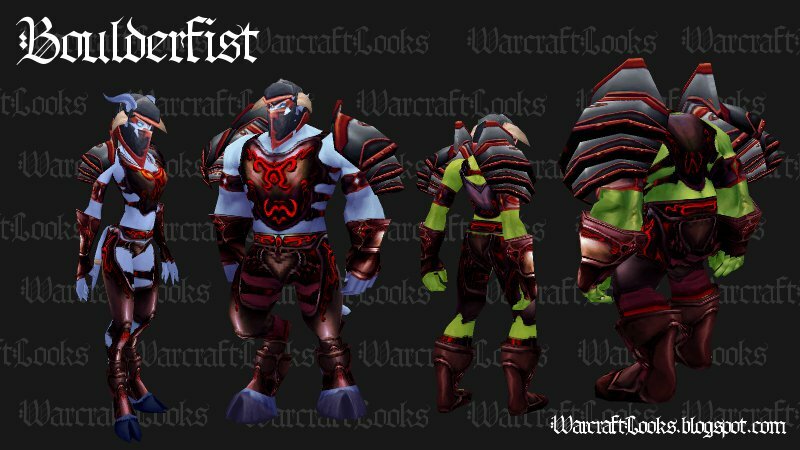 (See "Transmogrification, Part 4: Matching Greens" at Wowhead News) I was fascinated at the variety and quality of some of these sets that we may have passed over in the past as we leveled past them. 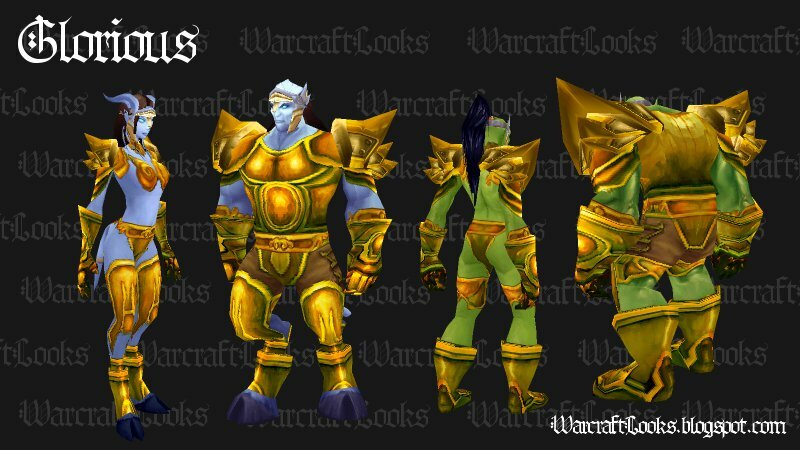 Follow us past the jump we're going to be highlighting some of the most interesting and unique looks among uncommon plate item sets in World of Warcraft. You'd be hard-pressed to find a more iconic "plate" set (as in this is what people think of when you sat plate armor) than this his level 43-47 set. The hammered and polished multi-plate armor held on over chain mail with brown leather straps screams "I'm a knight in shining armor". If your toon wishes they lived in Camelot than this is the set for you. There are some really fantastic looking uncommon plate sets out there. 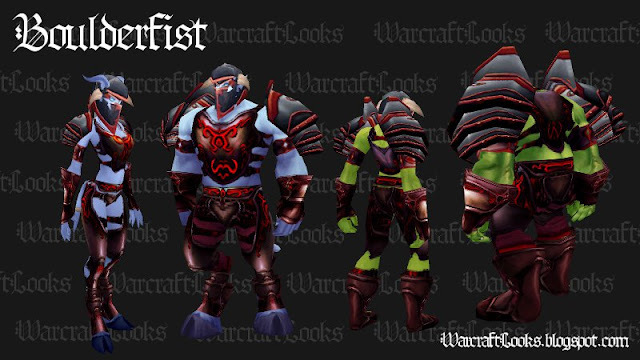 Things get a bit thin after Vanilla but finish strong in Cataclysm with the Stormforged set. 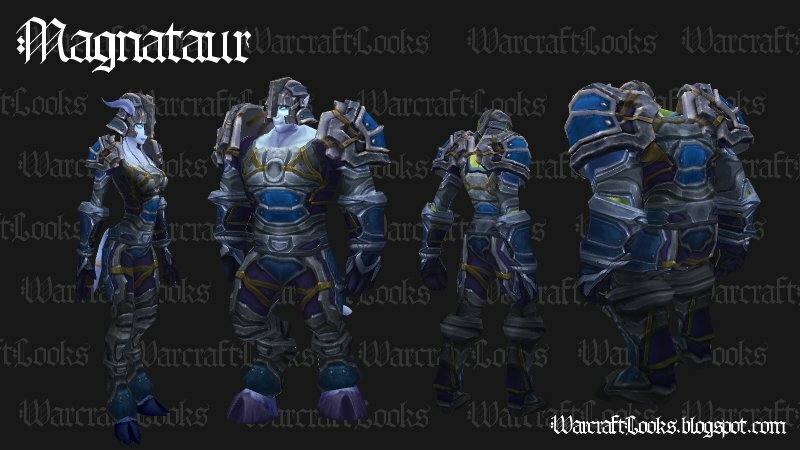 It's amazing to compare the level of detail of Cataclysm compared to Vanilla. That said Vanilla still hold it own. 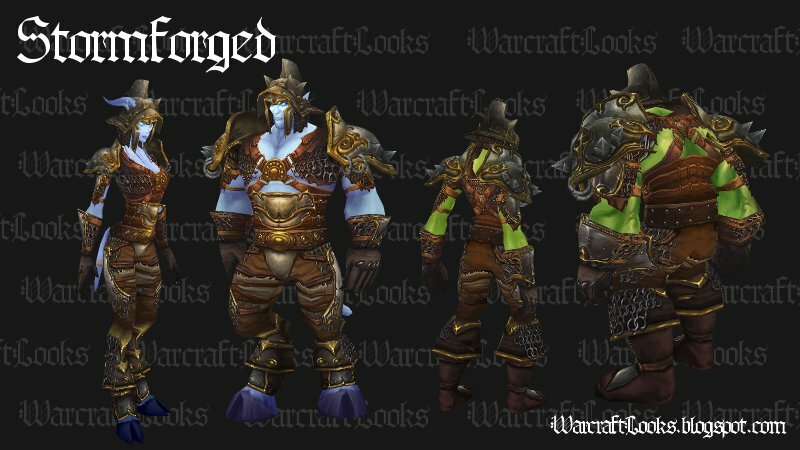 If the Stormforged set is anything to go by I think we should have some great sets to look forward to in the next expansion. 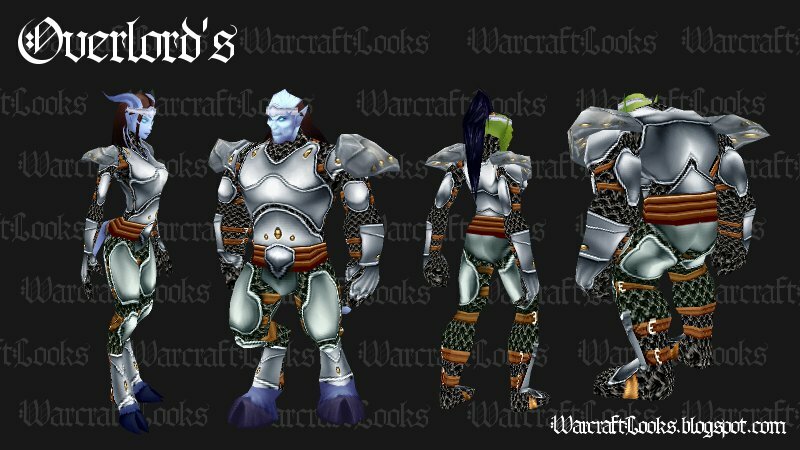 Is there an uncommon plate set that you are fond of that we missed? We'd love to hear about it in the comments. Also we're always accepting screenshots+item list submissions via email (warcraftlooks@gmail.com). Great sets. Thanks for putting this up!